I was determined to be Easter ready this year. As with Christmas, birthdays and every occasion throughout the year I will vow to be ready before the day and I never am! 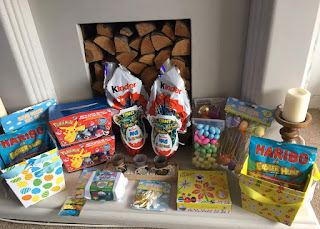 So over the past couple of months I have been stockpiling lots of Easter goodies, treats and crafts for the Easter period. 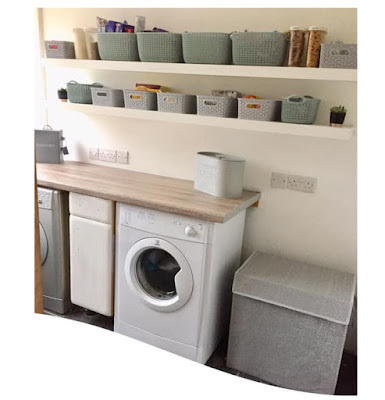 The children finish school in just over a weeks time and so I need to be ready before they are off school. I also need to have lots of things for them to do over the holidays so have been looking out for craft items to keep them busy. 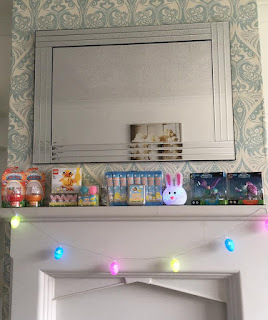 My first stop was Poundland and I have to say their Easter range is fantastic this year. 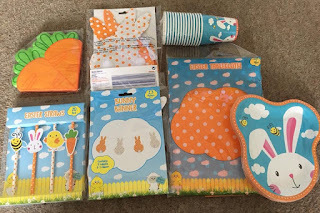 From crafts to cards, Easter bonnets to baskets and even Easter tableware they have everything covered. 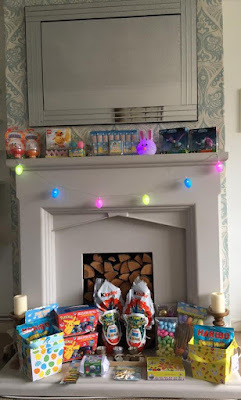 I bought the easter baskets to put all of the children's Easter treats in, some cute little egg string lights, a bunny light, some decorative eggs, some fluffy bunnies, an Easter ink stamp set, some medals for the Easter egg hunt, decorative Easter ribbon and so much more. The Easter tableware selection from Poundland including bunny shaped plates, bunny bunting, carrot napkins and more. 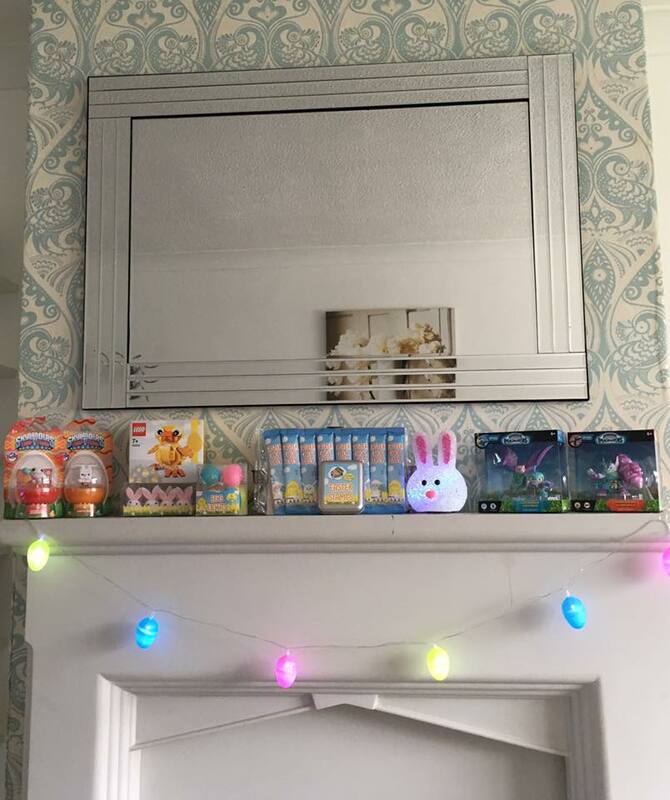 Some Poundland items in this picture including decorative eggs, ribbon, gold medals, craft and Easter baskets. Also pictured are Haribo Easter treats, Pokemon chocolate poke balls from Debenhams, Kinder Maxi eggs and more. As well as Easter eggs I was looking for something extra to go in the children's Easter baskets. I found Smiggle egg erasers for Thing 3 who is a huge Smiggle fan. 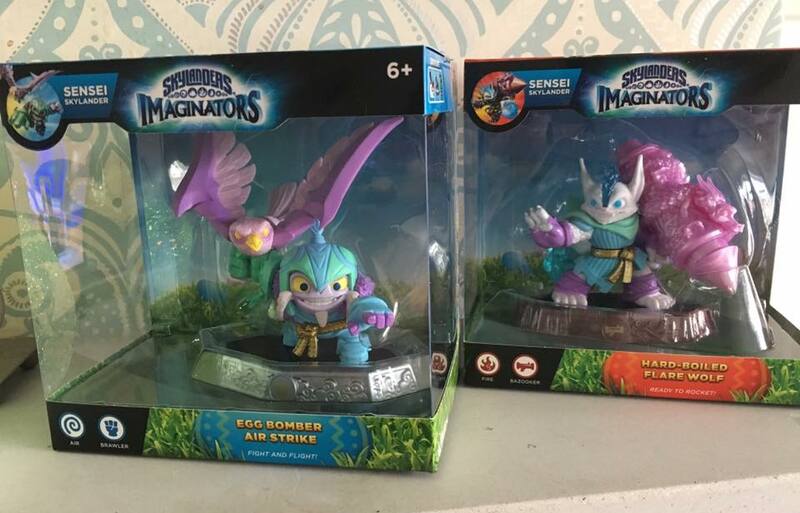 Thing 4 and 5 have got Spring edition Skylanders trap team items and Easter edition Skylanders Imagination figures as well as a Lego chick set. 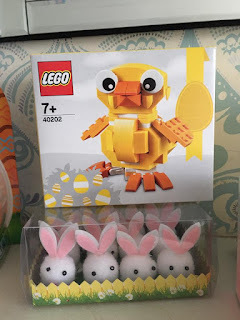 Lego 40202 Easter chick set and Poundland fluffy bunnies. The Easter egg buying isn't coming along so well. 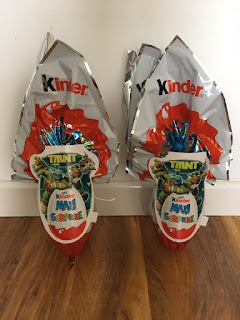 I bought the younger 2 boys a Kinder Maxi egg each, available at CO OP stores. I also bought some lovely Thorntons eggs from our local Asda store for Thing 3 and 5. Kinder Maxi eggs including a Teenage Mutant Ninja Turtle toy in every egg. 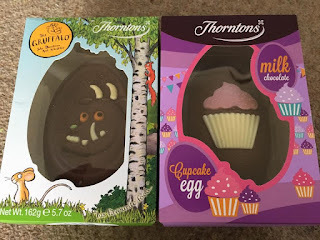 Thorntons Gruffalo egg and cupcake egg. 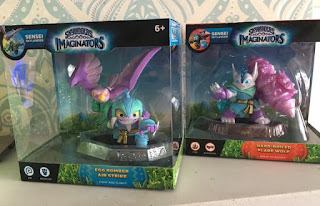 Both from Asda. Chocolate poke balls to include in an Easter egg hunt. 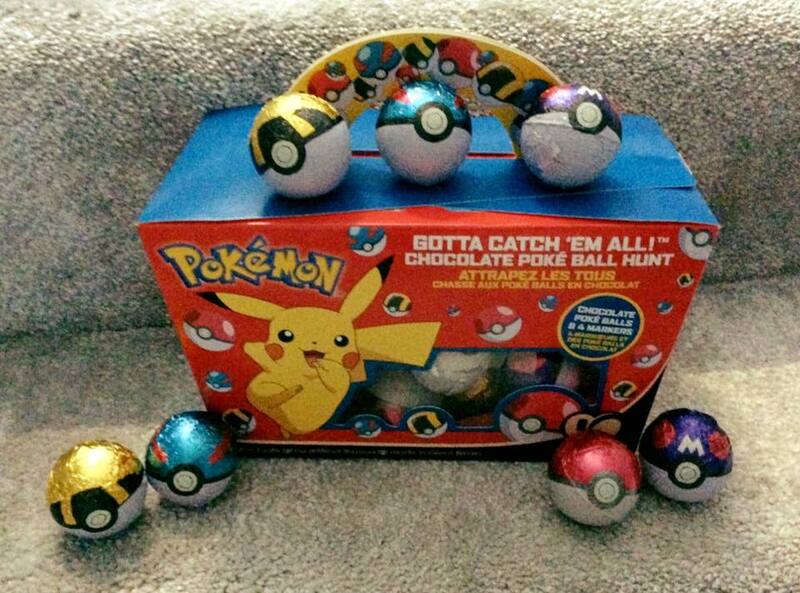 The Things are huge Pokemon fans so they will love these. 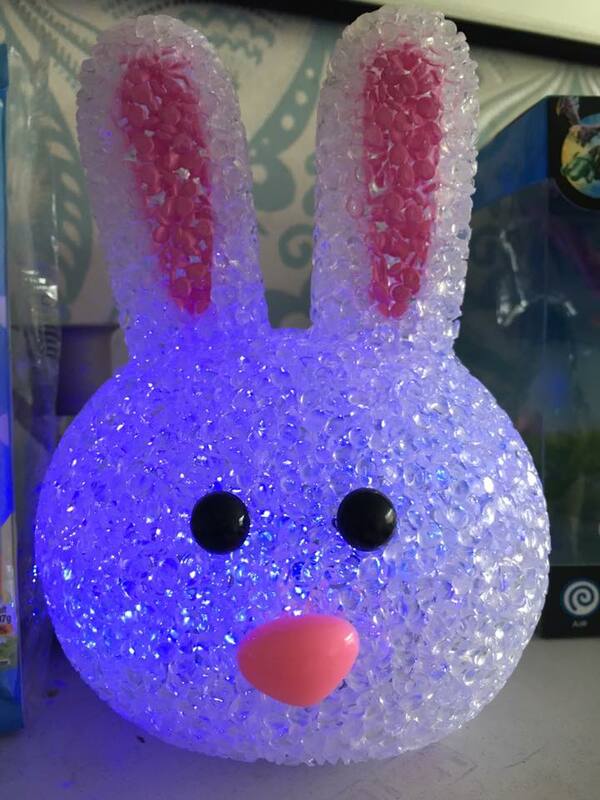 I love these Easter egg string lights from Poundland. Battery operated and super cute. So I am kind of Easter ready. We have tableware for Easter tea, crafts to make and do, decorations to put up and a few eggs and sweets. We just need a few more eggs and we are set for a fab Easter time. Are you ready for Easter? 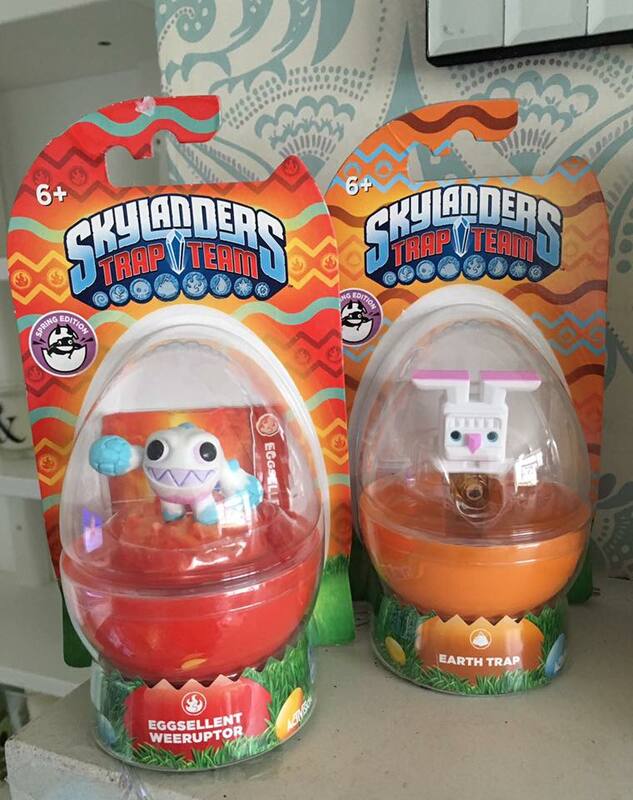 What Easter treats have you seen in the shops recently?